Rob loves the bath. Has for a long time. 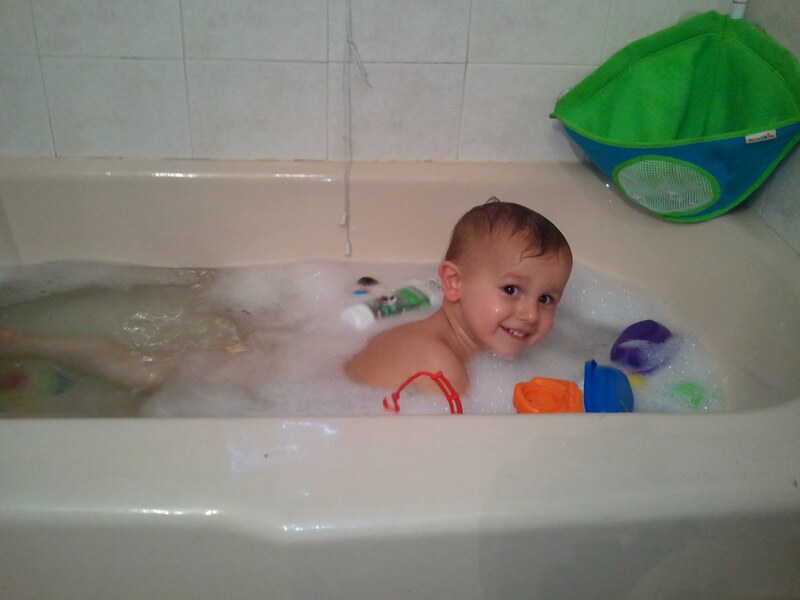 He loves sitting in the bath, standing in the bath, playing in the bath. Oh, and drinking the bath water. But he does not like to swim in the bath, or, as he puts it “sim”. Until last week (I know, I’m really behind on the blogs!). I put Robbie in the tub and turned around to put clothes in the hamper. The next thing I knew, my little fish was belly down and kicking in the tub. Surprised, I asked him what on earth he was doing. He looked at me, raised his eyebrows, and said, “Simming, Mama.” Of course. Silly me.